1. Cut all the veggies finely as shown below. 2. Beat the curd nicely. 3. 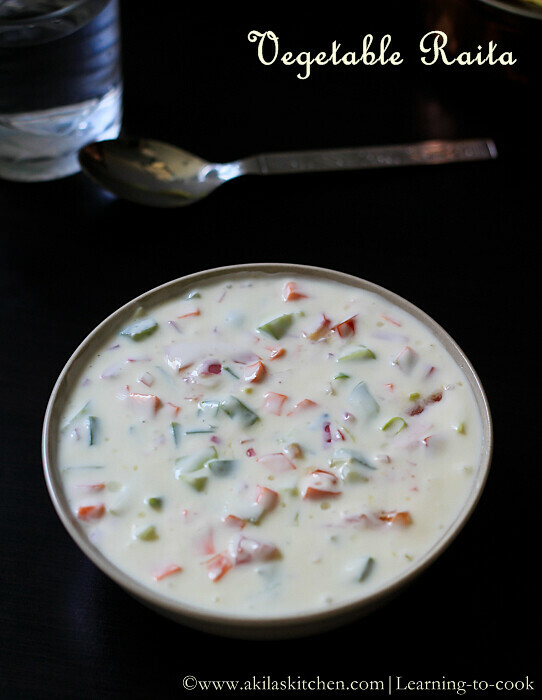 Mix the beaten curd / yogurt in the veggies. Add the optional ingredients if you like at this stage. 4. Yummy Raita is ready. 1. Peel the cucumber skin properly and cut. 2. You can add roasted jeera (cumin ) powder and a pinch of chat masala before serving to enhances the taste. Thank you for posting Foodie Fiesta on Facebook. 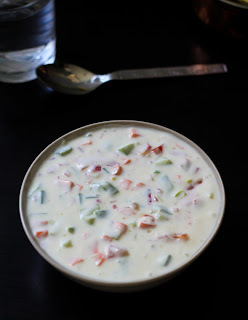 This is a great raita recipe, but the clicks are heavenly. 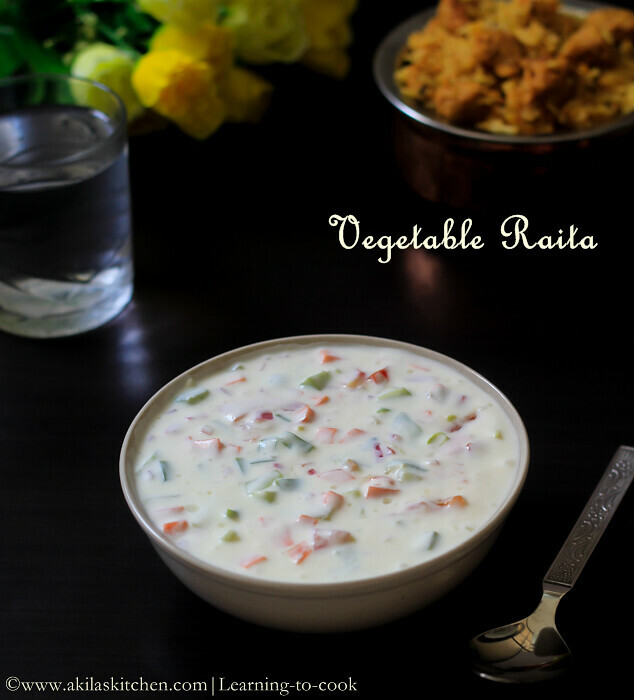 Such a droolworthy and colourful raita, cant ask more..
Super comfort healthy and yummy raita. looks cool. Absolutely my fav. No complains about having it everyday. Looking at the visuals is so tempting now. 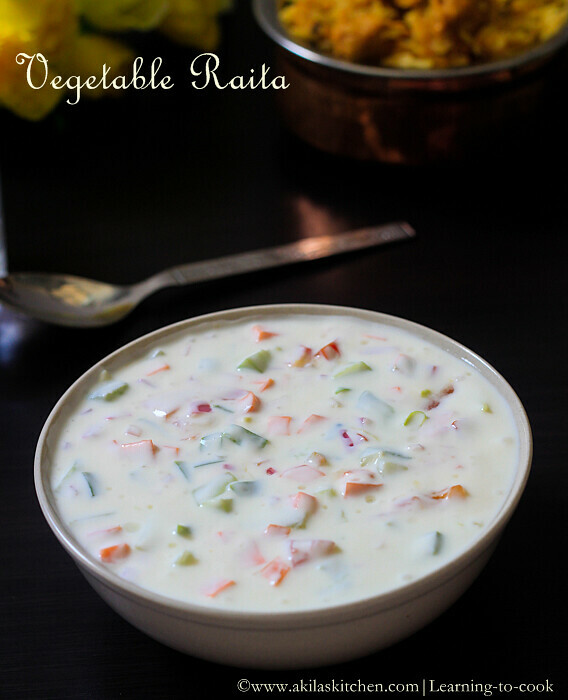 Colorful raita.I love the thought of adding veggies to it. 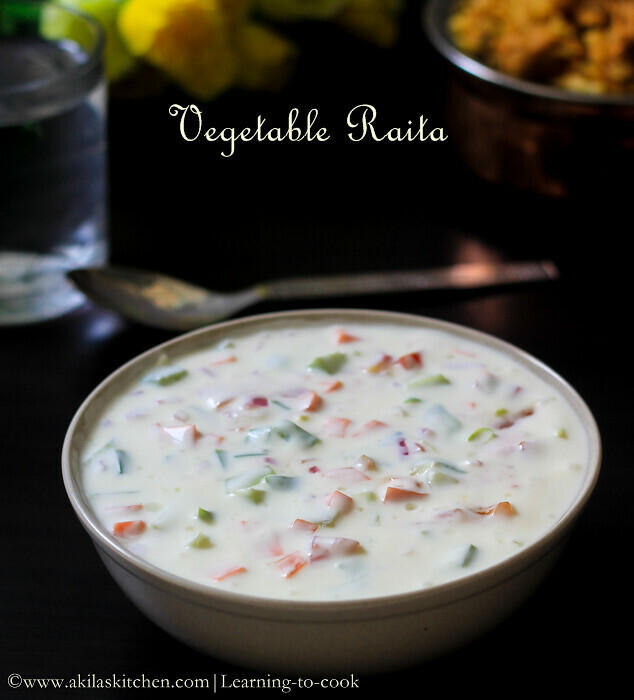 Very tempting and soothing looking raita. Wonderfully prepared.